Few year before my uncle was Inspector General of Police and i know that how much pressure he had to face at the time of recruitment in railway police. Fortunately present government has hired the services of NTS for recruitment on railway police jobs. For above 16 grade railway police jobs you will have to clear FPSC exam. Police job seekers should apply for ASF, Motorway police and railway police jobs too. 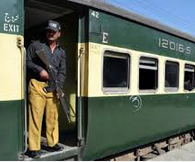 Railway police try to enforce law and order at railway stations and even in trains. Railway police officials travel with each trains to control the law and order situation during the rail journey. Railway has huge property throughout the country. Railway police fights against all illegal activities within its territorial jurisdiction. Responsibilities of railway police very much resembles with ASF. Railway police job seekers will have to appear in physical, medical and written test. Pakistan Railway is a federal government department. It had become a sick department federal government was considering to privatize it, but fortunately present railway minister is striving to turn this department again profitable. For last 3 years this department is earning profit and its profit is increasing day by day. The main cause of decline of this federal government department was political recruitments but now political interference has been stopped in recruitments. You can expect fair competition during recruiting process. FPSC announces syllabus and pattern/format of written test for senior railway police jobs in newspaper ad. Interview is also conducted by FPSC. NTS generally takes just objective type (MCQ) written test for below grade 16 railway police jobs. Physical test is also conducted by NTA, whereas interview is taken by senior railway police officials. Fore preparation of both these kinds of recruitment tests you will have to improve your English and general knowledge. General knowledge is a vast term and you will have to get maximum information about following areas for good performance in general knowledge section of written. History and general knowledge about railway police. Sometimes a separate psychological/aptitude test is also taken. In short preparation for any government job will enable you to apply for any other government job, but remember that it’s hard to cover all these areas in just one or two months. You will have to make a proper short term and long term plans for your future after matriculation. Read maximum books on general knowledge and English. Try to learn the art of creative writing. Reading books and newspapers should be your hobby. Graduate students must try for competitive exam too like PCS, PMS and CSS. Select the elective subjects in intermediate and bachelor keeping this factor in mind that your subjects should be helpful for you in competitive exams. No single book can be recommended to you for railway police jobs but you may start your preparation with the book “Who is Who & What is what”. Interview is also a major part of recruitment process of railway police jobs. For physical fitness take exercise regularly rather I will like to suggest you to join any gym as it will not only make your regular in taking exercise but also makes you a extrovert person. 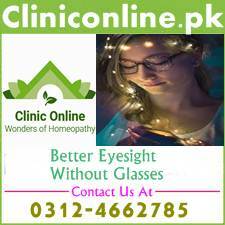 For clearing the psychological or aptitude test you will have to improve your IQ and EQ level. Visit our interview category for guidance about interview preparation. Wish you best of luck for your future career. 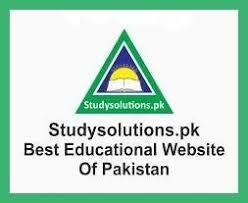 Visit studysolutions.pk and its facebook page daily for guidance about different public and private sector jobs including railway police jobs 2019. You may also like to read our following posts. You may read lot of such articles in our article category.